When it comes to aging, our hands are the first to show sign of the years. The skin on the back of the hands is thinner than on the face, which is why they show aging signs first and also age faster than the rest of the skin. As part of the normal aging process and the damage caused by sun exposure, our collagen and elastin fibers begin to break down. This has a noticeable impact on your hands because of the little amount of fat there is on the backs of the hands. Over time, the skin will start to show a wrinkly texture, age spots, and bulging veins. However, don’t give up hope on your hands, there are many ways to pamper them at home or with professional help. You can take a homemade and on-a-budget approach or go for a fancy treatment, both can have great effects and make a difference on the way your hands look right now and how they will age in the future. Every morning, clean your hands with the same product you use on your face, they both deserve the same importance and then apply a few drops of anti-aging serum. While still damp, apply a cream to create a better absorption, try to moisturize after coming out of the shower or washing your hands. Moisture is really important for your hands, more than for any other part of your body, because they are always exposed to different elements, put to a lot of use and washed frequently, losing their protective oil mantle. This won’t revert sun damage, but it can help by giving your hands a youthful look and protecting them. We encourage you to try this challenge and win! Use the Flawless Hands cream for 10 nights, sleep with the gloves, and on the 11th day, share your results with us to get the next cream for free! Guaranteed Satisfaction, if for any reason you don’t like the results, get your money back. Join here! 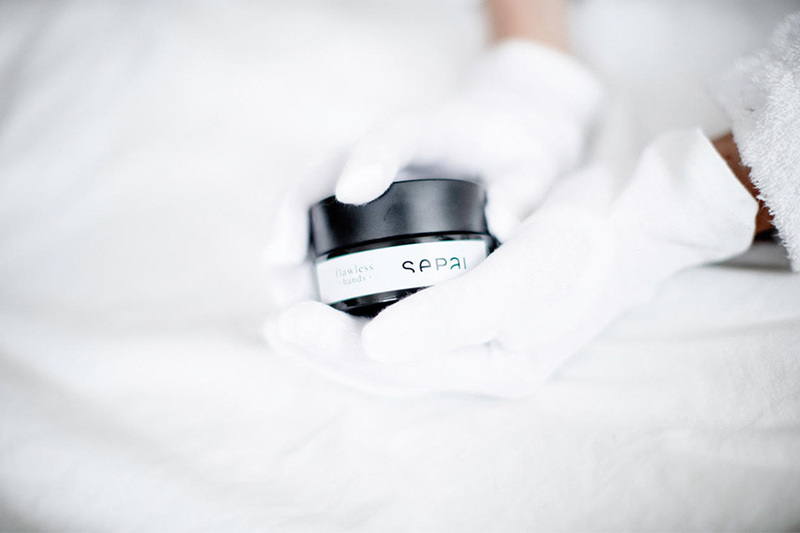 Skincare is a never-ending job, but it can be enjoyable. Pamper yourself and fall in love with your routine, you will feel and look better!